Everything for Ana: Mommy Meltdown: Sun & Mon and a Salmon Recipe. 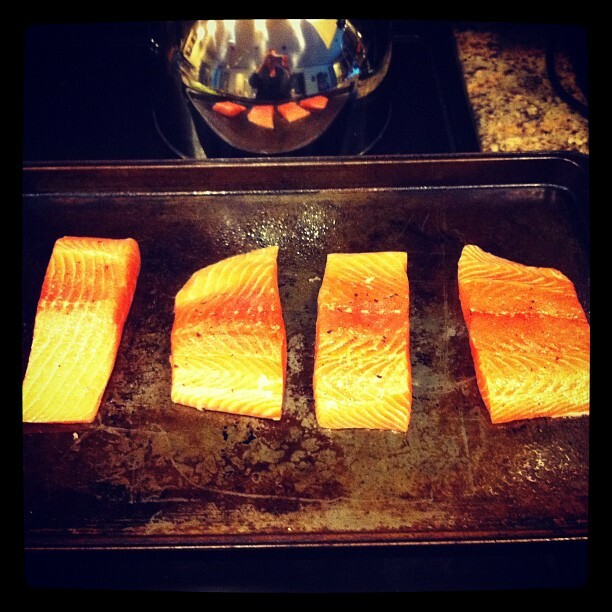 Mommy Meltdown: Sun & Mon and a Salmon Recipe. NO dessert or snacking. I figure I will leave that for a cheat day. It was one meal that I split into 3 servings. 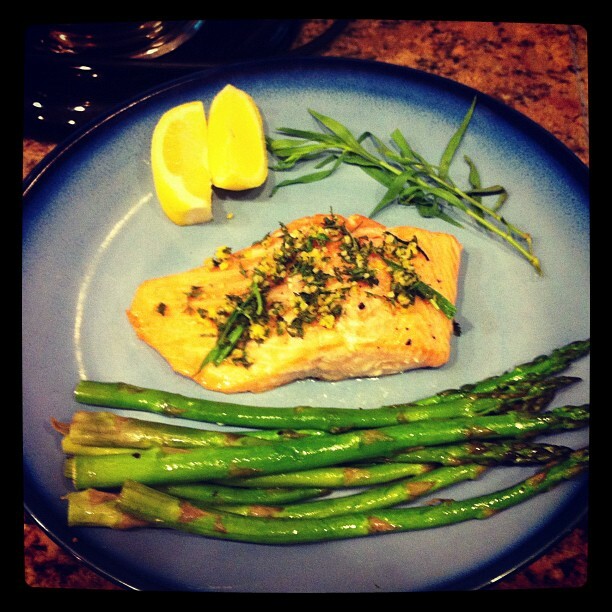 Here is the yummy recipe for the Salmon and Asparagus...perfect for a summer night! 1. Preheat oven to 450 degrees F. Spray large rimmed baking sheet with nonstick spray. 2. 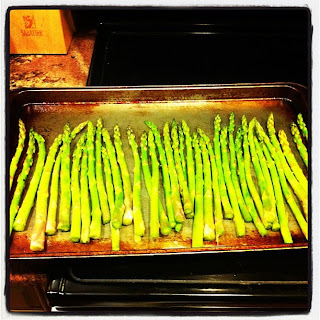 Combine asparagus, oil, 1/4 tsp of the salt and 1/8 tsp of the pepper in a large bowl. Toss to coat. 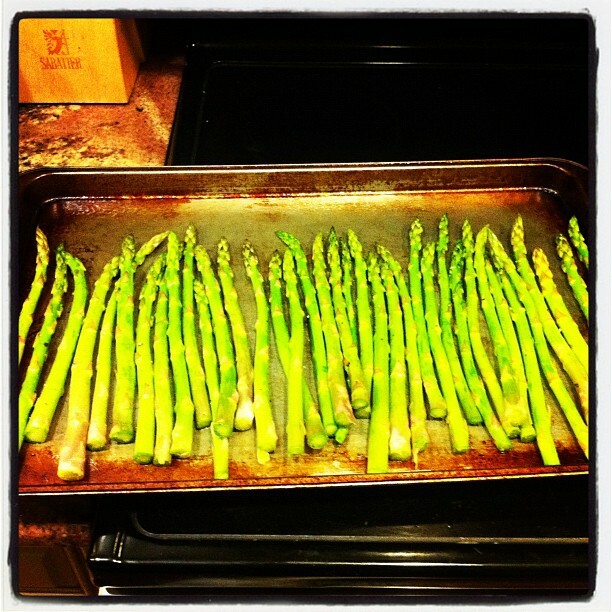 Spread asparagus in a single layer on one side of a prepared baking sheet. (in my case I put them on their own sheet) Sprinkle salmon with remaining salt and pepper. Place salmon on other side of baking sheet. Roast, turning asparagus once, until they are crisp tender an salmon is opaque in center. About 10-12 minutes. 3. Meanwhile, to make gremolata, stir together parsley, orange zest, lemon zest, tarragon, and garlic in a small bowl. Divide salmon and asparagus among 4 plates , sprinkle salmon evenly with gremolata. Serve with lemon wedges. Enjoy!! Let me know if you try it. Have fun! Hey! That looks delicious and gluten and dairy free too. Mommy Meltdown, who needs milk anyway?? 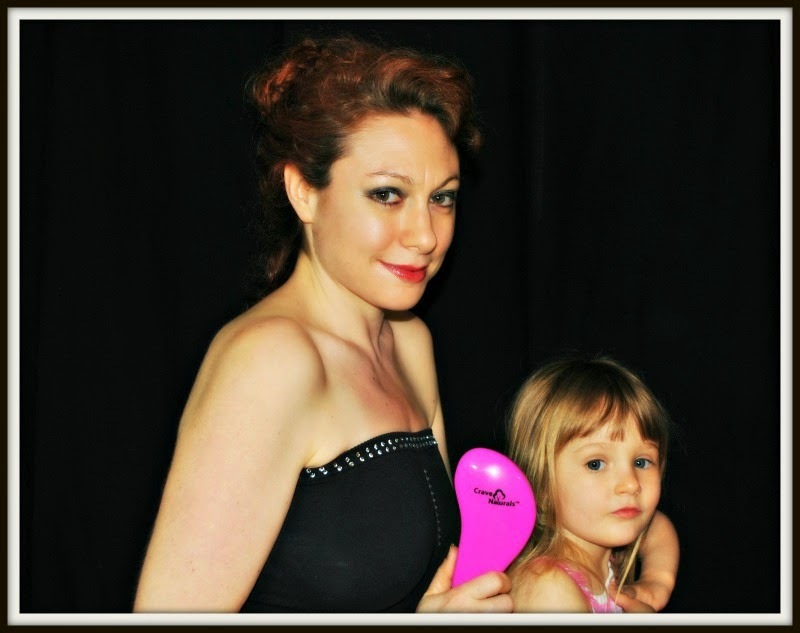 Mommy Meltdown Workout 7, Weigh In 2 Down 5! !